J. B. West, chief usher of the White House, directed the operations and maintenance of 1600 Pennsylvania Avenue--and coordinated its daily life--at the request of the president and his family. He directed state functions; planned parties, weddings and funerals, gardens and playgrounds, and extensive renovations; and, with a large staff, supervised every activity in the presidential home. For twenty-eight years, first as assistant to the chief usher, then as chief usher, he witnessed national crises and triumphs, and interacted daily with six consecutive presidents and first ladies, as well as their parents, children and grandchildren, and houseguests--including friends, relatives, and heads of state. J. B. West (1912-1983), chief usher of the White House--or executive director of the executive mansion and grounds--was once called "the most powerful man in Washington next to the president." Discreet and witty, he supervised the large permanent staff that provided for every personal want and need for six presidents and first ladies, including at state dinners, weddings, and funerals, redecorating the facilities for each family and tending to every special request. He served first as assistant to the chief usher and then as chief usher after retiring as a high-level civilian officer of the US Navy. A native Iowan, his White House tenure (1941-1969) followed a career in the Veterans Administration. 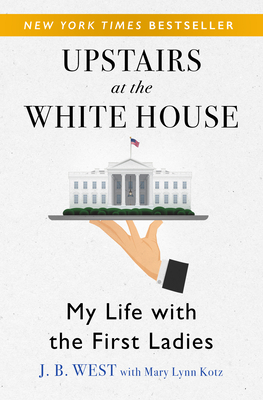 Upstairs at the White House was published in 1973 and remained on the New York Times bestseller list for months, with more than five hundred extraordinarily positive reviews, editions in seven languages, and more than two million copies sold in the US across hardcover and paperback formats. Mary Lynn Kotz, the author of four books, is a freelance magazine journalist based in Washington, DC. A contributing editor of ARTnews, she has written many cover stories, including "A Day with Georgia O'Keeffe." Her book Rauschenberg: Art and Life is the biography of the late American artist Robert Rauschenberg (1925-2008), about whom she has given illustrated lectures at more than seventy museums and festivals, including at the 2009 Venice Biennale.